Noosa Florists. Noosa wedding florist. Noosa weddings. 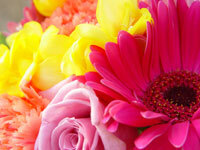 Noosa has many great florists that can arrange all you need................... There are numerous florists in the Noosa area who have had years of experience providing flowers for weddings. Just to name a few, Blooms of Noosa, Noosa Florist and Noosa House of Flowers. For complete Noosa wedding information please click here.